Dental Esthetics of Boca Raton (Boca Raton) - Book Appointment Online! Our office offers comprehensive dental care in a peaceful quaint environment. 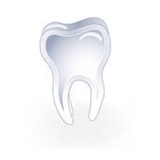 This site will enable you to receive an overview of the services our office provides and additional information about today's modern dentistry. As a licensed dentist in Florida, we offer our patients many alternatives to achieving healthy gums and a beautiful smile for a reasonable budget. We take the time to offer each patient viable treatment options to keep them smiling through life. Dental Esthetics of Boca Raton is conveniently located at the Belle Terre Medical Complex across from the Boca Raton Community Hospital.